The Sarjeant Gallery presents a hands-on pop-up book adventure. Come and learn about pop-up books and then make your own. Combine creative writing with art-making techniques. Numbers are strictly limited so bookings are essential. There are two sessions for different age groups: see dates and times above. Witness the magic that is a live, walking, talking pop-up book! Our favourite New Zealand stories will be brought to life in an hour-long show presented by members of the Cheryl Amos Academy of Drama. Wanganui District Library welcomes you to their ‘Special Guest Story-time’. Come along and listen to stories read by four well-known personalities from our community. Search the Museum for the pop-up performers from our favourite New Zealand poems playing their favourite characters, objects and animals. You are bound to be surprised – they can pop up anywhere! 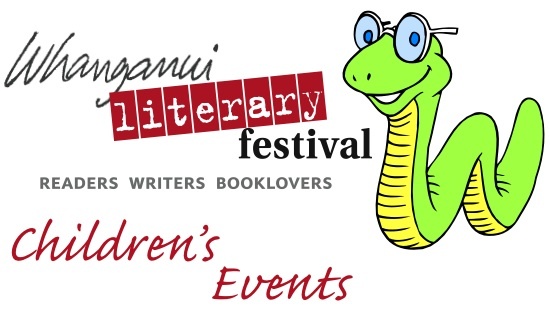 You can download the whole Children's Festival Programme here or check out the events on the left hand side of this page. Thank you to our supporters, the Sarjeant Gallery, the Central City Davis Library and the Whanganui Regional Museum.